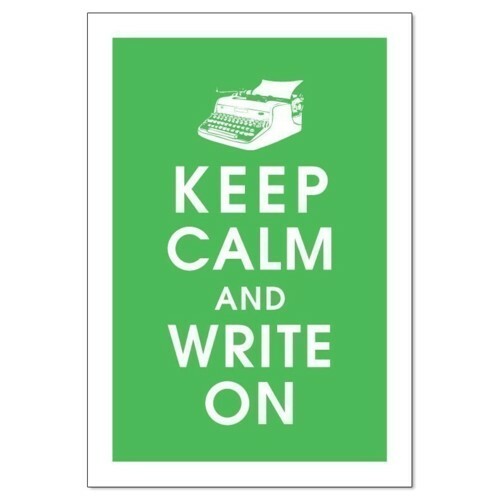 JuNoWriMo means “June Novel Writing Month”. It was started by Becca J. Campbell and Anna Howard and inspired by NaNoWriMo. The idea is to write the first draft of a 50,000 word book in 30 days. That’s an average of 1667 words per day. The nice part of the challenge is that you also get to support and interact with other writers. The first edition of JuNoWriMo will start on Friday, June 1st and in the meantime, author Aaron Pogue has been giving his advice on the JuNoWriMo blog to prepare the challenge: in a great series of posts, the idea was to help participants with their synopsis, character description, conflict resolution cycle, and so on… It is worth checking out if you’re interested in prewriting pointers. During the past year, I have written and self-edited the first book in my Epic Fantasy trilogy THE DARKLANDS. I will soon start looking for an agent with it, but in the meantime, I want to take a break from that story. Thus, JuNoWriMo is for me the perfect opportunity to put THE DARKLANDS in a drawer for a month and to work on something else. This month, I want to write a short YA dystopian novel which has been at the back of my mind for a while. When I say “short”, it is compared to the novel I just finished, which is over 100K… The working title for my JuNoWriMo WIP is BLACK ROSES, but it will most certainly change once I have completed the story. I usually come up with a definite title halfway through the writing process. What is my JuNoWriMo novel about? BLACK ROSES is set on the American continent at the end of the 22d Century. A virus has wiped out most of the world population ten years earlier. The only survivors are Humans (who weren’t affected by the virus) and Immortals (who have survived the virus and been turned into supernatural beings). Immortals rule the country and its capital New Wentworth, while Humans live on the margin. However, a third category of people is caught between them: Keepers have survived the virus but haven’t been turned into Immortals. The ruling class needs them in their new society, making them targets for rebel Humans. Seventeen-year-old Nessa is a Keeper. To her, this Friday is just like any other day. She hasn’t planned that Humans would choose it to stage a rebellion, that her life would suddenly be in danger, or that she would fall in love. Why have I decided to write this specific story for JuNoWriMo? I have always liked dystopian stories, even when they were just called Science-Fiction. I had the idea for BLACK ROSES years ago: I wrote a synopsis and a few key scenes before filing the thing away. Then the YA dystopian genre took over the world, and I started thinking ‘Maybe I should try and write that story after all.’ I don’t really intend to try and publish it, since the market is now saturated with YA Dystopian stories, but I think I will enjoy writing it in a short amount of time and having my beta readers read it. It will be a good way for me to hone my skills. Interested in joining the madness? Sign up for JuNoWriMo here. This entry was posted in JuNoWriMo and tagged About writing, Black Roses, Dystopia, dystopian novel, EM Castellan, JuNoWriMo, on writing, prewriting, writing, writing challenge, YA Books, Young Adult literature. Oh, I’ve done the November NaNo for the past few years. I’ve always thought we needed one during better weather! It’s no fun going to write-ins in the cold.